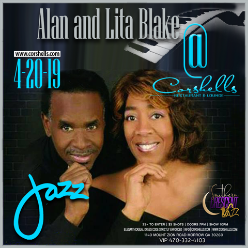 Alan and Lita Blake perform smooth jazz/r&b hits in their unique style. They have performed and recorded with Grover Washington Jr., George Howard, Gerald Veasley, Rachelle Ferrell and many more! Come out and enjoy their spin on your favorites.